Photo thanks to Alice Pawley, Unitarian Universalist Church, West Lafayette, Indiana. In the cold of mid-winter we offer some indoor/online sources of information and news of in-person events to come as the weather warms. This year, the MidAmerica Region is continuing its innovative approach by holding its Annual Meeting and Conference in FOUR locations, linked together by technology. This is a new era in UUism, and we're living it here. Want a weekend getaway? Then consider going to Topeka Kansas, where the conference runs from Friday evening through Sunday. You'll get to worship, learn, be entertained, and work together, and learn more about the historic Brown v Board of Education decision. Have something to do on Sunday that's not Regional Assembly related? Then check out the Wausau Wisconsin site -- gathering and worship on Friday night, then a Saturday full of keynote, workshops, and social justice event. You'll be able to spend Saturday night in your own bed. Then there are the day-long events in both Bloomington, Indiana (we have congregations in three different Bloomingtons! ), and Ann Arbor, Michigan. With the advantage of the Eastern time zone, you can gather early enough to still be connected with the keynote (broadcast live out of Topeka), have your own worship, workshops and social justice activity, and make it a day trip. What will be the same for every location? Everyone will hear/see the keynote address, and be able to participate in the Q&A after it! It will be in-person in Topeka, beamed to the other three locations! Rev. Dr. Paul Rasor will present the lecture, "Reclaiming Our Liberal Heritage and Embracing Our Hunger for Justice." Paul, author of Reclaiming Prophetic Witness: Liberal Religion in the Public Square, has a wide-ranging background that includes religion, law and music. Everyone will hear/see the business meeting, ask questions, and be involved. Delegates in all locations will be able to vote. The meeting will be in-person in Bloomington, beamed to the other three locations. Everyone will have worship designed for their site, demonstrating the wonderful variety we have across our region. Everyone will have workshops specific to their location with the possibility that the Board will have conversations with attendees in all four locations. Everyone will be involved in connecting with a social justice initiative--a way to give back to the world. What will be different in every location? The people: You'll get to see long-time friends, and make some new ones, as well. The workshops will be different in each location. The worship will showcase the "local" talent. How long it takes you to travel there. You might find that the closest location is not in your former district, so you'll get the chance to imbibe a bit of new culture and friendships. The registration fees will be set to recover costs, and since the cost of food, facilities, etc., will vary based on length of meeting and location, you'll see that the rates are not the same everywhere. More information and registration materials at www.midamericauua.org/ra. Registration will be open by mid-February. Business meeting documents should be up on the web by mid-March so you can do your preparation. And stay tuned--next year, Regional Assembly in one location as we continue to experiment with how to be together here in the new era of MidAmerica! We are thrilled to announce that we have enhanced our resources for congregations and ministers in search. Now on our Transitions page of the website (www.midamericauua.org/services/transitions), you can view one of 30 short (2-5 minutes) videos on various aspects of ministerial search. These cover such topics as: how to decide when to leave, saying goodbye well, when to select the search committee, how to decide on your candidate, drafting a letter of agreement, and many, many more. Check these out--they offer quick highlights of all aspects of the ministerial search process. For more information, feel free to contact Lisa Presley, lpresley@uua.org our staff member who coordinates our work with congregations in search. Growing and deepening our capacity for successful multicultural ministries and stronger intercultural relationships is critical to the fulfillment of our vision for Unitarian Universalism and building the beloved community. In these days of increasing complexity in diversity in our world, and our congregations, learning how to work more effectively with people who are different than us is important-we need to develop skills and attitudes that assist us in getting where we want to go. Friday, February 28th through Saturday March 1st will be your chance to bring a team from your congregation to explore how we can cross the divide between differences that make a difference. You will learn a framework for understanding your competency,and how to enhance your own skills, insights in the multiple components of conflict, and how to move the work forward in your congregation. Rev. Adam Robersmith (minister at Second Unitarian Church, Chicago) and Rev. Lisa Presley (Congregational Life Consultant for MidAmerica) were trained through the UU Ministers Association to help our congregation members learn to be more fluid in an intercultural world. The ministers of our region have had the chance to take the training-now it's a time that we invite you to come. We suggest that if at all possible, sending a team will help you bring this information back to your congregation more readily. The workshop will be held at the Unitarian Church of Evanston, Illinois. Cost will be $50 per person, and includes Friday and Saturday evening snacks, Saturday morning and afternoon snacks, and Saturday lunch. Registration will be capped at 80 to allow for better learning and interaction. More details can be found on our website at www.midamericauua.org or by contacting Lisa Presley, lpresley@uua.org. As I prepare to begin my sabbatical, I have been mulling over the many possibilities for this time. For eight weeks, from Monday, January 6th and extending until Sunday, March 2nd, I will be fully immersed in my Religious Education Credentialing process and studies. The RE Credentialing program is structured for deeper concentration in areas where I seek to build core competencies. My passion remains in faith development, especially in understanding further the interconnection of human development and faith development. I look forward to taking an online course through the spring/summer in Human Development and Learning Theories. 2014 marks my 16th year as a professional Unitarian Universalist religious educator, and I find each year that there is always more to learn, and that each year brings a greater love and devotion to our faith. This will be my first sabbatical as a UU religious professional, and I am poised and ready for whatever the experience may bring. I deeply appreciate that our MidAmerica team is fully supporting my sabbatical. If you are seeking input on transitions with your religious education professionals, both Phil Lund plund@uua.org and Dori Davenport Thexton can be of help. I often receive inquiries about congregations wanting to go deeper with their faith development goals, whether that has to do with being more intentional about building multigenerational community or simply seeking greater insights on the future of faith development, for those types of questions both Dori Davenport-Thexton and Phil Lund plund@uua.org are very insightful. With the promise of renewal on my immediate horizon, I trust that if you have questions you will reach out to the folks above; we truly share a team approach to our work. The Wi$dom Path: Money, Spirit, and Life, a new Tapestry of Faith adult curriculum initiated by the UUA President's Council offers twelve 90-minute workshops to explore our money-related stories, attitudes, and actions in the context of our Unitarian Universalist faith. It is available for no charge at http://www.uua.org/re/tapestry/adults/wisdompath/index.shtml. Why Do People of Color Want to Be UUs? 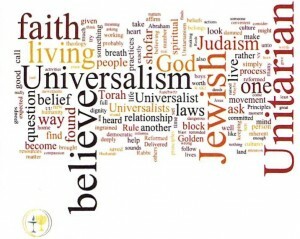 A national gathering of Unitarian Universalists for Jewish Awareness (UUJA) will be held March 14-16, 2014 at the Morristown Unitarian Fellowship in Morristown, New Jersey. The theme is "Jewish Voices in Unitarian Universalism." It will feature the editors and contributors to the upcoming book by the same name (Skinner House Jan. 2014) in conversation about Jewish identity, Judaism as a source tradition, Tikkun Olam and social justice, and the pluses and challenges of this hyphenated status in UU communities. To register and/or to find out about the sliding scale cost, nearby hotels, transportation options and limited home hospitality, go to www.uuja.org. There is some scholarship assistance available.